Origin’s day and a half training curriculum allows attendees to learn how to properly install Origin doors and windows. You will leave with a solid understanding of the many features and benefits of Origin windows and doors. Our installation training room offers all of the equipment and tools each students needs for simulating real-time window and door installs. Please request a date for a training day and we will make sure to accommodate your needs. Jakub has been working with Origin for over 6 years. 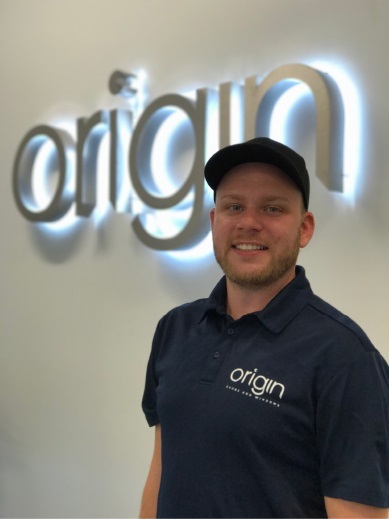 He worked his way through production, purchasing and other departments which helped him gain valuable knowledge of Origin’s products and processes. Having started at the Global Headquarters in the UK, he became a vital asset when Origin expanded its operation to the U.S. Since then, he has traveled across the U.S. providing countless install assists, technical training and advice. He has also been personally involved in setting up each new customer showroom across the country. His education experience also includes a degree in the dental industry which taught him the fundamentals of being precise and thorough. The favorite part of his role is meeting new people and being able to show them just how easy it is to install Origin products!